Keywords are words used to retrieve documents in an information system such as a catalog or a search engine. Keywords are the main words that define your topic or subject of your content is referred to as keywords. keywords are the vehicles for search engines to reach your topic through the search queries a user searches for. simply putting they are like a directory where you search something based on some initial information. The most important keywords in your content are referred to as the primary keywords. For example, if your content is about environment protection and your narrow topic is to curb the use of plastics then your primary keyword will look something like "plastics and environment". Keywords are the means of reaching to your content thus the most important identity that links to your content's subject and presents it to the searcher. What are Ad Words Keywords? Ad Word keywords are words or phrases describing your product or service that you choose to help determine when and where your ad can appear. When someone searches for a similar product or service on Google, your ad could be eligible to appear based on the similarity of your keywords to the person's search phrase or words. Keyword Grouping is the grouping of keywords for Stronger SEO & PPC Campaigns. Running a search engine optimization campaign starts with keyword phrase research and this is true for pay-per-click marketing campaigns too. You help the searcher find what he or she is looking for one needs to speak the searcher's language and also tell in clearly your offerings too. Using three and four keyword phrases together makes up a Long-tail keyword and this is normally very specific to whatever the searcher wants to buy hence its said that Long-Tail Keywords is the better way to connect with your customers. Long-tail keywords are generally longer with three or more phrases but also more specific keyword phrases that visitors are more likely to use when they’re closer to a point-of-purchase. One needs a set of strategies and tools to tap into it. When you use Long-tail keywords in your blogs its a better way to reach out to specific and targeted customers thus resulting in better conversions. Negative keywords when used correctly, they can help. Negative keywords are necessary for paid search campaigns that contain keywords on either broad match or phrase match that you need to limit it. Negative keyword discovery is also equally important because it helps to choose your negative keywords carefully. Excess use of negative keywords could result in fewer ad views and thus fewer customers but sometimes your ad might still show up when someone searches for a phrase that's longer than 10 words, and your negative keyword follows that 10th word. Hence it is recommended to choose negative keywords as wisely as Ad Words Keywords. Every web page has a meta tag that appears in the HTML code of the web page and they help the search engines to tell the topic the web page is all about. Meta keywords are easily distinguished from regular keywords since they appear as an HTML code within your web page and not visible in your content to the visitor. While selecting the meta keywords make sure it accurately reflects the contents of your page. It is now said that because of black hat SEO and keyword stuffing in meta tags google is no longer considering it an important part of its algorithm but yet if rightly used can play a small but crucial role in passing the message of your page to the search engines subtly because of the crowded marketplace every bit contributes in some way or the other. PPC stands for pay-per-click, It is true that in pay-per-click marketing, everything starts with a keyword. PPC is a model of internet marketing in which advertisers pay a fee each time one of their ads is clicked. This is a proven way of converting your site's visitors to paying customers. 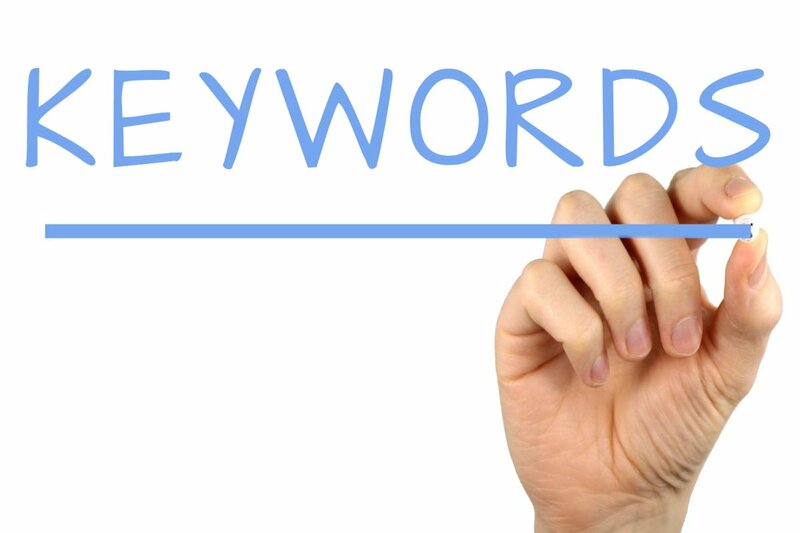 using a keyword research tool you can start your PPC keyword research process, find some initial keywords and later expand to find the most relevant long-tail keywords for your PPC campaigns, as make sure to eliminate the bad keywords that not probable to convert in your PPC campaign. Keywords and phrases in your content that make it possible for visitors to find your site via search engines are the SEO keywords. The first step in setting up a website is to see that your content is well optimized for search engines since it could bring in the potential customer to your website. For this to happen you need to know how people search the internet for a specific product or service similar to the one you offer and you'll have to use such keywords which will help your site show up in the top search results. Keywords and SEO are directly connected and proper and appropriate keyword selection for your SEO campaign lays the foundation for your website's success. Call to action: Join the organization BlogScience.org by subscribing. Sharing helps others learn too. Thank you.